Here at Destructoid, we routinely host contests for various gaming prizes. Things like free copies of upcoming games to plush penises from Devolver Digital: Dtoid has given back to the community in small ways over the years. Those giveaways have brought some of you closer to us, for which I will always be grateful, but I was completely blown away by the story of one of our contest winners. In November of last year, Mark Barnes Jr. entered our contest for some Pokémon-themed gear. After becoming the lucky winner, he got in touch with Wes about where to send the goodies and Wes noticed something quite peculiar. In the e-mail signature, Mark's job description curiously read “Minecraft Consultant, UN-Habitat.” What in the world was that about? Wes got a quick explanation about the project and passed the info onto us. Here was a guy using video games in a way that was actively helping the world out. This was an incredible story that needed to be told to a larger audience. Finding Mark's tale fascinating, I couldn't pass up the opportunity to speak with him about the work he’s done with Mojang’s monster of a title. First, some background. Mark Barnes Jr. was born in Tennessee in 1982. When he was two years old, his parents became Christian missionaries and moved his family to Papua New Guinea. His family was housed in a small compound smack in the middle of a mountain valley surrounded by rain forests. Along with Mark's family, around 400 others were stationed at the compound, all filling in various roles for missionary work. Mark's parents were teachers at the local school there, which Mark told me was a weird way to grow up. For him, the best aspect was having many friends from different backgrounds that all had the freedom to be outside and go where they want. Some of Mark's friends came from Australia, England, Ireland, India, South America, Belgium, and New Zealand. Due to the school being small, everyone knew each other and was relatively close-knit. Living at a missionary compound, Mark's childhood was rarely boring. At five years old, he got to watch a tribal battle commence across a ravine from the base. When the police had come to break up that fight and deployed tear gas, it actually blew into the compound and gassed the entire place. Mark recalls other bizarre things that happened to him, but states, “When I try to explain them to other people, they're utterly baffled.” For him, it was normal – that was all he had ever known. Having lived at that compound until he graduated high school, Mark was surrounded by people who wanted to help the outside world. This fueled his desire to find a career that would allow him to do the same. As he puts it, “I was brought up by people who took their toddler and baby to the other side of the globe to help people.” His mother's parents did the exact same thing. To him, the only course of action was to enter a field that would let him give back to others. To that end, Mark became a teacher. His Minecraft consulting days weren't something he originally envisioned happening. For the most part, he had entered teaching to let others excel in the world. “I feel really good,” Mark states, “when I give people the tools they need to succeed at something. To me, that's always been more motivating than a financial reward.” It was a chance opportunity that his friend introduced Mark to a role which would get him involved with Minecraft. While studying for her master's degree in urban planning, Mark's friend brought his attention to a position at the United Nations related to her field. It was titled the Block-by-Block Program. 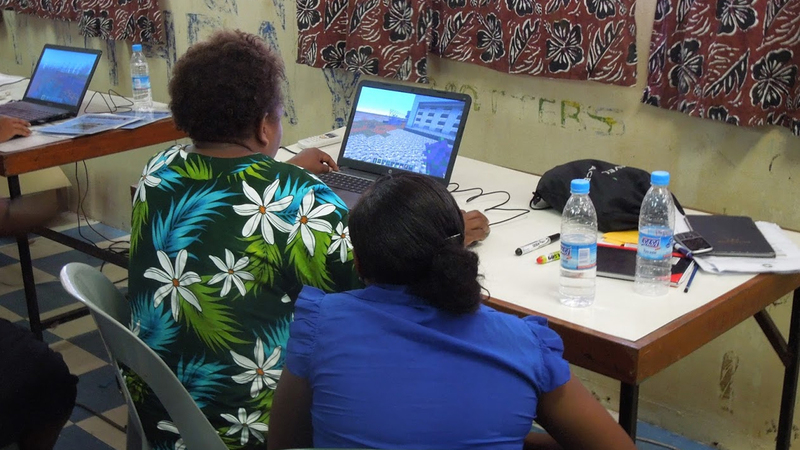 This program involved a branch of the UN that focused on using models constructed in Minecraft to improve living conditions for people around the world. Their core focus was dealing with concerns around housing, access to drinking water, security, sanitation, and other problems plaguing impoverished countries. Since Mark had been a big fan of Minecraft since around 2008, his friend urged him to apply. 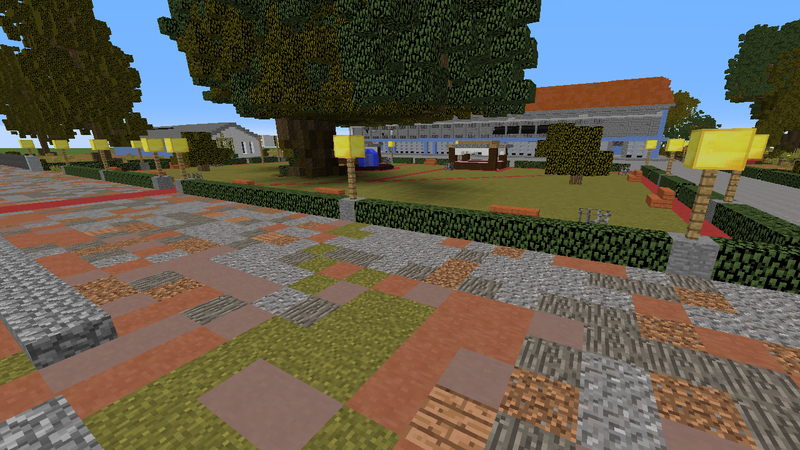 The Block-by-Block Program began in 2012 with the goal of integrating Minecraft into the public space to get community members more involved. 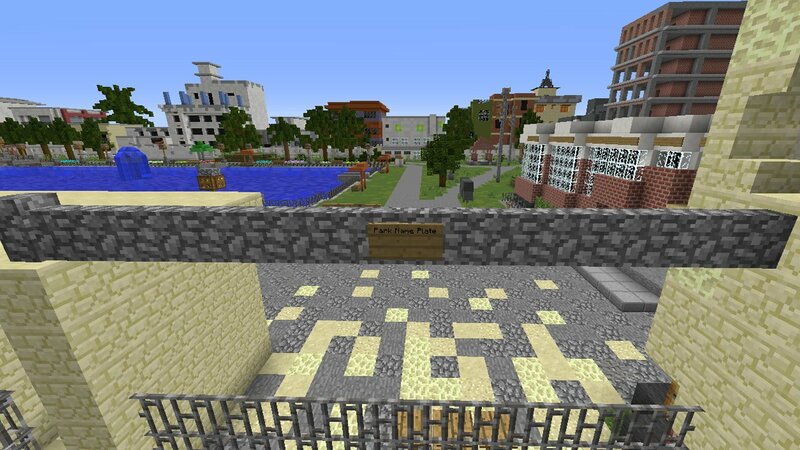 With Minecraft‘s ease of use, members of communities that were often ignored would be able to have their voices heard with regards to public reformation. It was also a cost-effective way to visualize changes in a three-dimensional space and allowed for rapid sharing of ideas. It's far easier to build and destroy something in Minecraft than real life. 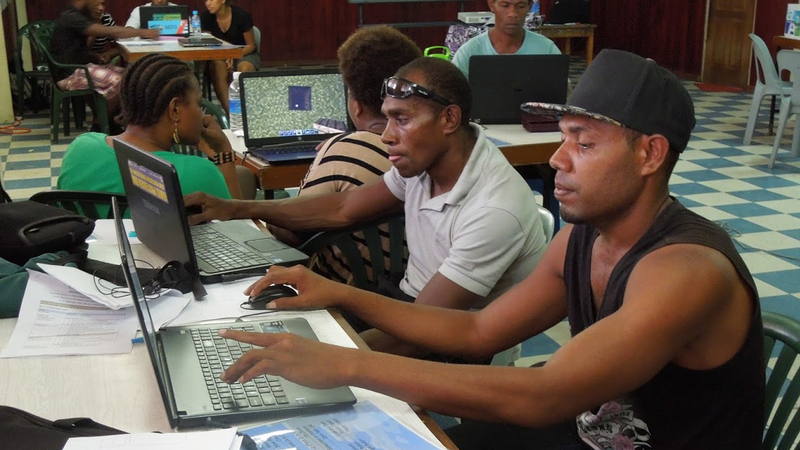 The initial job was situated in The Solomon Islands, which was a perfect fit for Mark. Since he had grown up not far from there, it was only natural that Mark would be inclined to put his name in. Despite not thinking he had a chance, Mark was accepted for the job and would soon begin his life of helping people through Minecraft. Mark came into the program in 2014 as a consultant. For each job, his task would begin after a project was planned out and initiated. 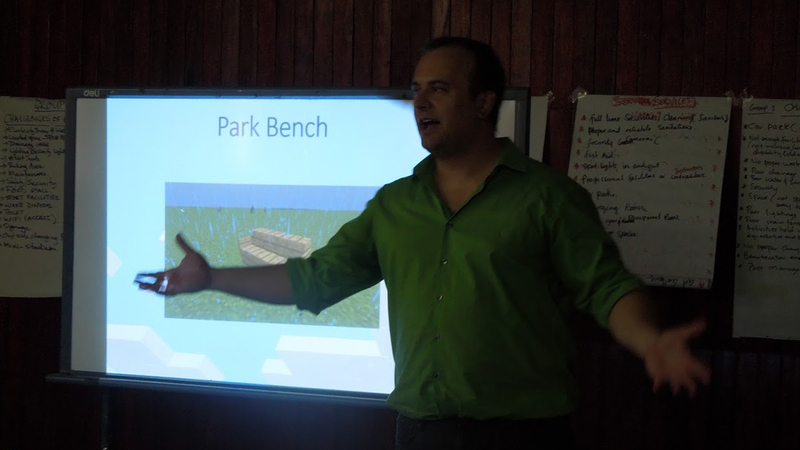 The UN-Habitat would send him and an urban planner to different communities and begin teaching the inhabitants how to play Minecraft. Mark would also give some feedback about the various models they were making while the workshop was underway. 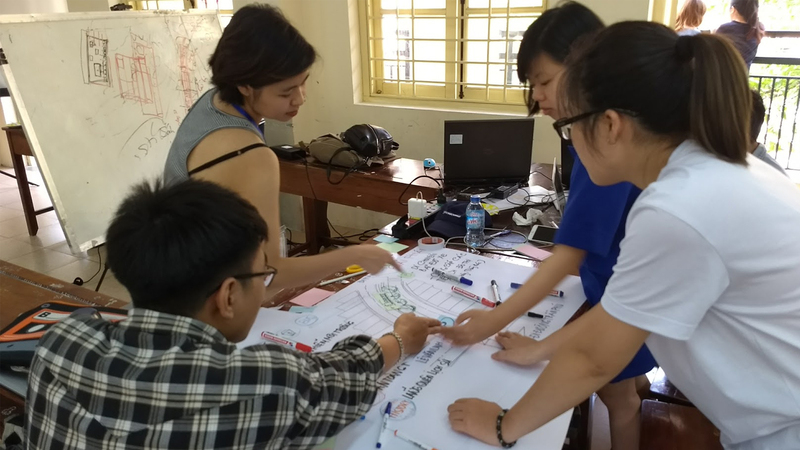 After the workshops were finished, Mark would generate a final model of the town and write out a report explaining the outcome so that architects and urban planners could draw out blueprints. From there, these blueprints were then used to construct actual buildings, a bit that blows Mark's mind. As Mark told me, “Because Minecraft is so easy to learn, even people who have never used a computer can complete a model in just a few days. It levels the playing field and allows everyone to have a part in the design process without being talked over or ignored.” One of the biggest concerns for various reconstruction efforts is getting feedback from women and children at a public forum. Various communities discourage them from voicing their opinions, but Block-by-Block allows these people to be heard without getting ignored or talked over. Over the course of the last four years, Mark has conducted workshops in Bangladesh, Vietnam, and the Solomon Islands. Mark recounted a particularly powerful moment that happened during his visit to Bangladesh. “I saw an older lady who had never used a computer in her life learn to play Minecraft. I hope I never forget the look on her face – joy, amazement, and pride all at once.” As he said, that is an accurate description of how it made him feel. As well as being overwhelmed from how thankful these citizens were, Mark could be conjuring up his past experiences with video games. As any kid of the '90s will tell you, growing up playing video games usually resulted in someone shouting “They'll rot your brain,” or, “You're wasting your time!” It's even hard not to think that with modern titles, some of which seem positioned to drain your wallet more than stimulate any part of your brain. “Growing up, I always felt this twinge of guilt over how much I loved video games,” Mark told me. That positive force doesn't seem to be running out of steam, either. Mark explained how the response to Block-by-Block has been fairly positive. Since the UN-Habitat doesn't come to other countries uninvited, communities need to make a formal request to have consultants like Mark come and visit their area. Because of making that request, there typically is very little (if any) pushback from local governments. A change in regime or stuck-up leadership might occasionally cause some conflicts, but most of the citizens are overjoyed to have the chance at fixing their residence. At present, Mark's contract with the UN has expired. This means that until he is needed by the UN-Habitat again, he is no longer involved with the Block-by-Block Program. He hasn't forgotten about his time there and even has a blog dedicated to chronicling his workshops in different countries. 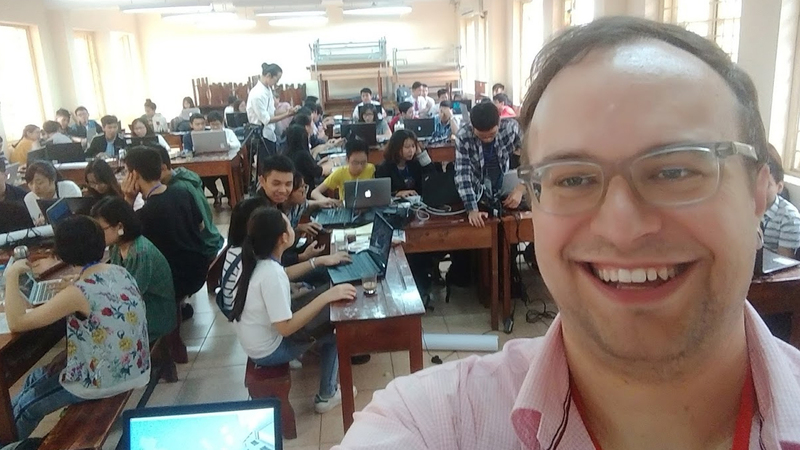 While there was an absence of updates due to Mark pursuing a graduate degree, he is looking to leave his teaching job in the spring and resume updating the blog with stories left untold. Mark might not have had an average upbringing, but his passion for helping others has led to one of the most unbelievable stories involving gaming I've ever heard. He may never return to Block-by-Block, but the good he has done with it is likely to stay with him forever. To Mark and everyone at the UN-Habitat, I salute you for being such a force of goodwill in this world. Hopefully, your remarkable story will inspire others to stick with this hobby, since it does truly matter. If you'd like to contribute a donation to the Block-by-Block Program or even donate your own time, you can head over to this page for more information on how to help.